Mavic 2 Zoom or Mavic 2 Pro? There are now four different DJI Mavics to choose from and we would argue that each one has it’s own niche. However it is very clear that the Mavic 2 Zoom and Mavic 2 pro are a cut above the original Mavic and Mavic Air. The Mavic 2 models being nearly identical with the exception of the camera and we believe the Mavic 2 Zoom is the one you want. Yes, the Mavic 2 Pro camera looks better on paper but we believe the Mavic 2 Zoom is the one you want. 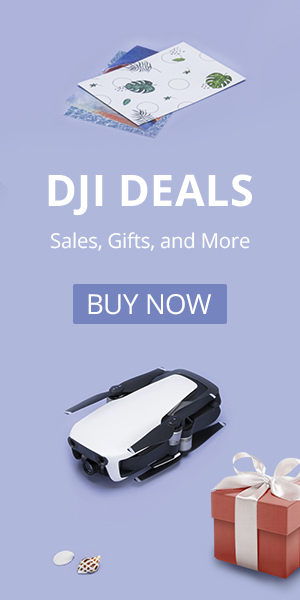 DJI released two versions of the Mavic 2 in July of 2018. So inevitably people want to know which one is better. The Mavic 2 Zoom is the first commercial drone with optical zoom. The Mavic 2 Pro was developed in partnership with Hasselblad to carry a top-of-the-line camera with a 1″ sensor. While both drones are excellent, we believe the DJI Mavic 2 Zoom is the better drone for most people. You don’t believe us? It isn’t just our conclusion. The DroneDJ agrees as well. You can read about that at www.dronedj.com. We think the DJI Mavic 2 Zoom is the better drone for most people. Take a look at how these two drones compare when you look closer at their specs. You will find they are virtually identical, that is except for the camera and its capabilities. With the exception of the camera, these two drones are almost identical. They are both a little larger and heavier than the original Mavic checking in at 2 lbs. Both have an impressive 8000 meter (5 mile) range and utilize the brand new OccuSync 2.0 video transmission signal for crystal clear video. The new Mavic 2 models are both equipped with the low-noise propellers making this a lot quieter than the previous Mavics and definitely quieter than the Phantom lineup. The Mavic 2 Models are identical except for their cameras. Both Mavic 2 models have an impressive 31 minute flight time and upgraded APAS 2.0 six-direction obstacle avoidance sensors. In sport mode, both Mavics will top out at 45 mph. The Mavics both retain all of the easy to use cinematic flight modes and have added new aerial time-lapse modes. The time-lapse photography is a spectacular addition. However only the DJI Mavic 2 Zoom has the ability to zoom in on a subject. With the Zoom comes the unique Dolly Zoom feature that cannot be done with the Mavic 2 Pro. For a full, in-depth comparison of the Mavic 2 Zoom vs Mavic 2 Pro click HERE. The back of the Mavic 2 is loaded with more cameras. Why is the Mavic 2 Zoom Better? The Mavic Zoom 2 folds up nicely like all other Mavic models. Looking at the specs above you will notice that these two drones are nearly identical, except for the cameras. You will also notice that the Mavic 2 Zoom is $200 less than the Mavic 2 Pro. $200 is a good chunk of change to save. Yes, the Hasselblad camera on the Pro is the best camera that DJI has released to date on their consumer drones, but the Zoom isn’t that far behind. It performs surprisingly well in multiple light applications. While we were skeptical about the Zoom feature it has come in handy already and is something that the Mavic Pro 2 just cannot do. The box is nice, but unfortunately, the drone won’t fit with the back propellers installed. The Mavic Zoom camera may not have a 1-inch sensor, but that doesn’t mean it can’t take excellent pictures and video. With its upgraded 1/2.3″ sensor this camera is still an upgrade over the original Mavic camera. The Mavic Zoom as the name implies also incorporates the ability for the pilot to zoom in with lossless mechanical 2X zoom for photos and 4K video and lossless 4X zoom when recording in 1080p. We were pleasantly surprised how well the zoom works. Of the three full-size Mavic options, we like the Mavic 2 Zoom. The Mavic 2 and Mavic 2 Zoom remotes are identical. Like the Mavic Air, the sticks stow away. We would argue that for most people the Mavic 2 Zoom is the right choice. The question is, what is most important to you? If you need the best and most professional quality images possible then the Pro is the way to go. If you prefer the flexibility and creativity that comes with the Zoom then that is the way to go. Of course, the price is also important with the Pro being $1449 and the Zoom being $200 less at $1249. Good luck and happy flying. Just know that both are excellent and whichever one you choose it is hard to go wrong. We picked up the Fly-More kit with our Mavic 2. The extra batteries and charger are nice. but we found the bag to be a little tight. 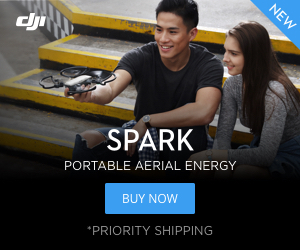 What Is the BEST Drone (for you)? The Mavic Air is even more compact than the Mavic 2.